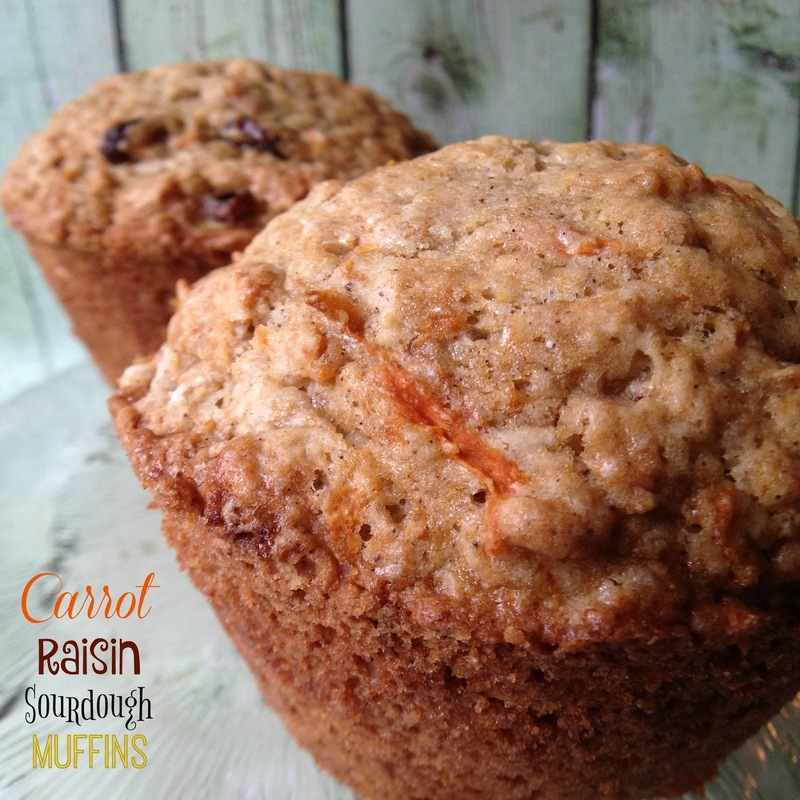 Carrot Raisin Sourdough Muffins are simply delicious. 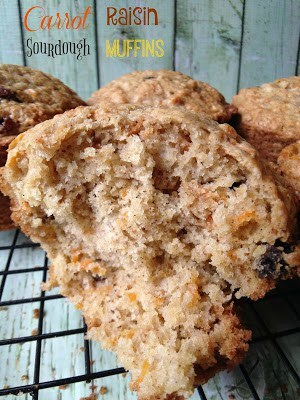 Shredded carrots add a nice healthy taste, raisins adds sweetness and sourdough starter adds a wonderful tangy flavor to these muffins. 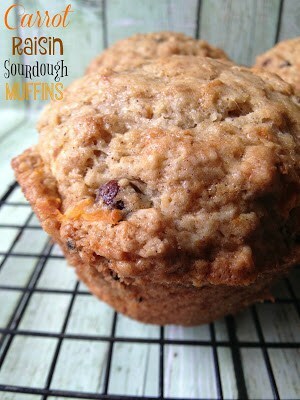 I have made made muffins using my sourdough stater and these are by far one of my favorites. The other muffin I love using sourdough starter is Apple Sourdough Walnut Muffins. That recipe uses shredded apples whilst this recipe uses shredded carrots. If you aren’t a fan of raisins you can substitute chopped dates, prunes or figs. Nuts can also be added if you’d like. Serve Carrot Raisin Sourdough Muffins for breakfast with coffee, a small glass of orange juice and a 6 oz. container of low-fat yogurt. A fast and easy breakfast that you can easily eat on the run. I like to eat my muffins plain or with a spoonful of jam or jelly spread on top. My hubby likes to top his muffins with a pat of butter. Spray a jumbo (6) muffin tin with non-stick spray. In a large bowl, cream butter and sugars together until it becomes pale. Add egg and milk, mix well. Add the starter, flour, baking powder, baking soda, spices and salt. Stir just until combined. Do not overmix the batter. Gently stir in the carrots, raisins and nuts, if using. Half fill your muffin cups with batter. Bake at for 20 to 25 minutes or until toothpick inserted in the center comes out clean.